12/2/17; Tampa, Fla.; University of Tampa men's & women's basketball vs. Lynn. The men’s basketball team has struggled this season, as it currently holds a 7-12 record. Last season, they finished 17-12, losing in the Sunshine State Conference (SSC) Quarterfinals to Palm Beach Atlantic, 66-63. The Spartans were defeated by Eckerd on Jan. 24 by a score of 86-72. Senior forward Marcel Robinson led the Spartans with the game-high 27 points. Closing out the week, the Spartans fell to Nova Southeastern 87-77 on Jan. 27. Junior guard Pat Bacon scored a game-high 23 points in the loss. Bacon is averaging 20 points per game this season, shooting 34 percent from the three point line. The men’s team will finish out January in a matchup against divisional rival Saint Leo on Jan. 31. They will begin February against Rollins at home on Saturday, Feb. 3. The Spartans will have a three-day break after that, facing Florida Tech at home on Feb. 7. Following the matchup against Florida Tech, the Spartans will play four more games before the SSC tournament begins. They will look to earn another berth this year into the tournament if they can finish out the rest of the year strong. The women’s team, on the other hand, have been on the right side of things this year, currently holding a 13-7 record. 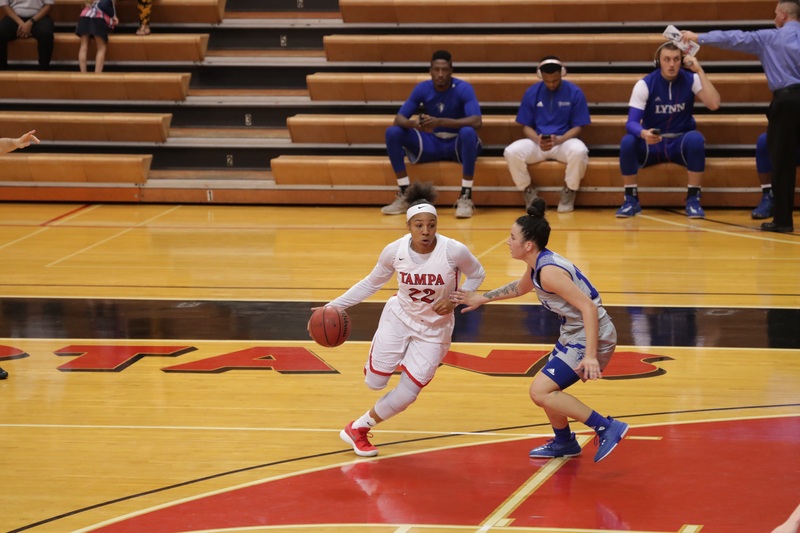 Following their 66-63 OT loss to Eckerd on Feb. 24, 2017, the women were on a five-game losing streak. Junior forward Staja Tyghter scored 19 points in the loss. They snapped that losing streak on Jan. 27, defeating Nova Southeastern, 76-69. Sophomore guard Aliyah Abney scored a game-high 23 points in the win. The women will also take on Saint Leo to close out the month of January before facing Rollins and Florida Tech during the first week of February. Last year, the Spartans finished 17-11, losing in the SSC Tournament Semifinal against Eckerd, 70-63.